Pharrell Williams is a bonafide style icon. 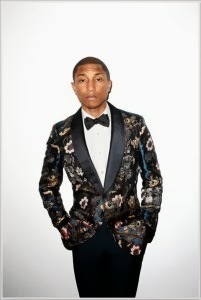 Forget his huge success as a music producer and recording artiste, what has endeared Pharrell Williams to people most is his fashion sense and style. His Youthful looks, fitted, refined, charming, and effortless style makes him loved around the world. He is a successful fashion designer with two clothing lines, the luxurious Billionaire Boys Club and Ice Cream Footwear. Pharrell Williams also co-designed glasses and jewelries for Louis Vuitton. This cool style icon has a knack for setting trends, he is never afraid to take fashion risks which he often pulls off. He's not only good at rocking the casual or street style looks, he's also always smashing at his tux game and looks sleek, clean, tidy and plush in his business or formal outfits. He has a lot of flair and creativity with his outfits and always uses different accessories to stand out. 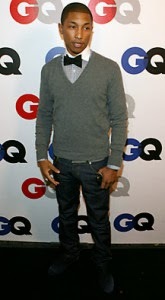 Pharrell's style is laid back and effortless kind of style which makes him unique. Whichever look he steps out with, he pulls it off with he's body carriage (This is important in everyone's style). He does not try too hard to look good, he just looks good with his creativity and pulls off any outfit he likes with his flair. You will hardly believe this dude has hit the age 40 mark. Pharrell’s personal style is definitely one you can take inspiration from. The most important thing is to dress for you, let your personality shine through. Most of all, be confident in yourself and your look. Also take importance to your body carriage and you will be able to pull off different outfits and styles. "Remember my first tenet in getting dressed is how you feel in the morning. So if you're not being true blue to that, it usually shows." "Fashion has to reflect who you are, what you feel at the moment, and where you’re going. It doesn’t have to be bright, doesn’t have to be loud. Just has to be you." Would you like advice on how to up your style or get the Pharrell look? Email us now.